Not Verified | Annoying system of having to do security multiple times when transiting. Poor food options in terminal, eg no shop selling food and drinks to go, just over priced cafes. Not Verified | I have traveled to over 50 counties and hundreds of airports. I am a pretty flexible traveler. 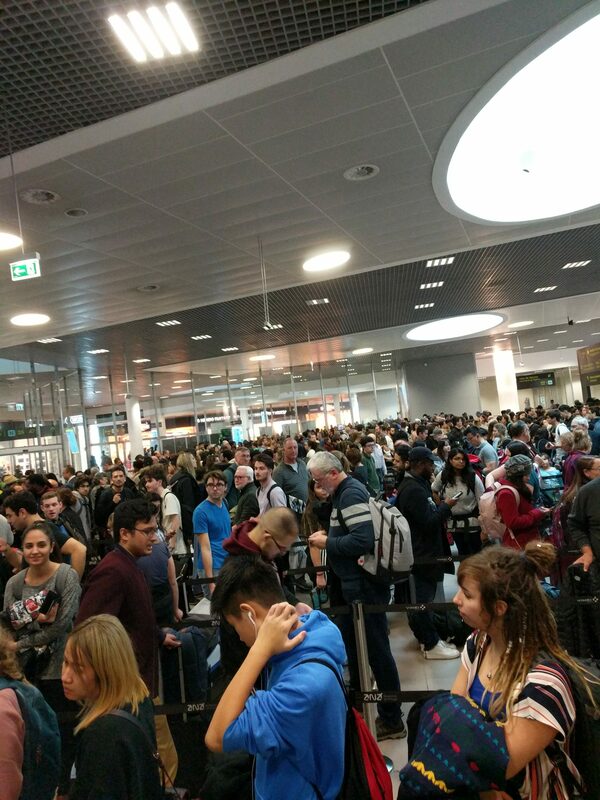 LIS airport has the worst passport control I have ever seen. The line to have my non-EU passport checked took 122 minutes. 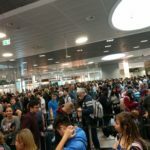 A third of the passport windows were closed. Every 10 minutes or so one of the officers would leave because, obviously, a human has to have some food and water and use the restroom every once in a while. Never mind the hundreds of people trapped in line for 2 hours without water, bathrooms, or even a place to sit. There was no escape. As a healthy adult it was only a inconvenience for me; but I saw a lot of elderly people and families with small children clearly suffering. I was later told that this situation is the norm, and nobody at the airport cares. Portugal is supposed to be a modern country but honestly, what I saw was worse than any third-world airport I have visited, including former Portuguese colonies that are much poorer than Portugal. I doubt I will ever return to this country. ✅ Trip Verified | This is a nice and modern airport with friendly staff who also speaks English. I found everything there that I needed. Toilets are clean, there are plenty of dining places. The police found my lost bag and coat with most of the money and most of the stuff in the bag. After missing my flights the staff was kind enough to understand my situation and gave me another pass at no extra charge (otherwise a huge charge close to €300). It is one of my favourite airports now. CONS: Many different people (including me) asking for money and security does not seem to care to remove them. The police says the cameras are watching everything, so they should be able to recognise the beggars and remove them. You may have to watch out for potential pickpockets, although does not seem like it is a big problem there. Yet I somehow lost my bag and coat etc. while having some drinks (recovered by the airport police, with only some stuff missing). I would like some soft chairs or couches for relaxation and waiting long hours for people with back and skeletal problems. The boarding can be confusing and very lengthy with long walks to security and then to the gates, so one must ask around and the flights are delayed, time zone differences, boarding gates are not announced at all, these and more issues made me miss my two flights in a row, especially when one is tired or had a drink. "the worst airport in the world"
✅ Trip Verified | This is the worst airport in the world. Sure there is good shopping but when it comes to service they are awful. I left my bag on the plane and every single person I talked to pawned me off on someone else. Extremely rude staff at the TAP counter where I got a replacement flight since I missed mine dealing with bureaucracy. I never was able to get my bag back, I believe it was stolen and they are covering. I had to fly back out from this airport with my fiance who is Brazilian and was hoping since he speaks Portuguese I'd get better service, but they were even worse to him. An attendant swooped down on me when I ducked under a cordon where the line was short, she grabbed my passport and my ticket and started yelling I was in the wrong line. My fiance explained to her, in Portuguese, that I was in the correct line, and she called over security to scare him. Completely unnecessary and I believe racially motivated. Then the same attendant checked me in to my flight and literally said "Hello again" in a super derisive way, and flagged me for extra security. ✅ Trip Verified | I fly from Brazil (Belo Horizonte) to Vienna via Lisbon in business class. Also I am star alliance gold member. Transit time between the flight was 1 hr 15 minutes. There is a chaotic immigration counter. 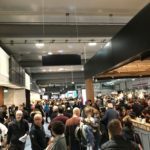 More than 200 people standing in a queue. No fast track for business class. Staff were rude and yelling at people. Only 5 windows working for non European citizens. I asked staff to send me via fast track. They said I have enough time for Vienna. After standing for more than 40 minutes, they asked for people for Vienna to come to another line. Same thing at hand bag checking, more than 300 people standing for 4 security clearance machines. Again transfer people pushed us through it. We just run to our flight. 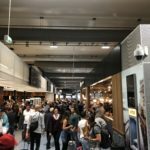 Why they can not have more security desks and immigration desks? Why there is no fast track line. Star alliance should demand these things from TAP. "still needs more staff with better training"
✅ Trip Verified | This is an old airport in the middle of a European capital. The possibility of expansion is little, only minor improvements are possible from time to time and it feels as if the airport is in constant need of repairs. Through the years it has become more modern but it still needs more staff with better training, more security staff, more cleanliness in public areas and toilets in particular and general upgrades throughout the facility. It feels too crowded in places specifically terminal 2 which is a little nightmare only used by budget airlines. There are just some air bridges so most flights need bus boarding which delays flights and adds to the discomfort of any flight. "completely unwilling to make my trip a pleasant one"
" totally different story altogether"
Not Verified | Arrived in Lisbon from Terminal 1, not a bad arrival. Fairly quick to get from plane to Metro, about 25 minutes, Departing from Terminal 2 however, a totally different story altogether. 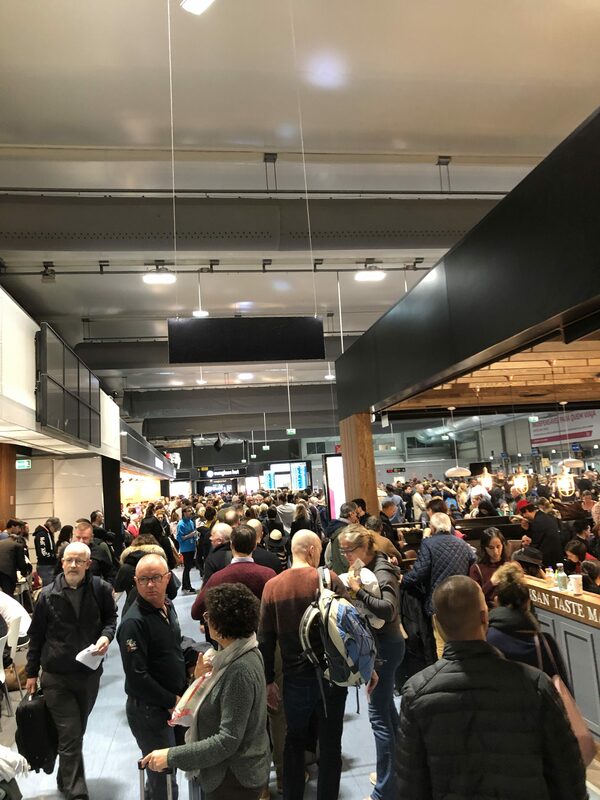 The Terminal looks like a cattle shed, it's far too cramped for the amount of passengers, with nowhere to sit and get a meal or drink that is reasonably priced. Not much chouce for anything really. The public WIFI is slow and practically non existent. I would not recommend this terminal at all. Not Verified | I am writing on behalf of my elderly parents who travelled on TAP from Lisbon to Toronto on October 19th, 2018, on flight 259. While we were well supported by TAP, a female security agent at the airport treated them with the utmost disregard and in a very unnecessary punitive manner. After being in the security line up for around 45 minutes, they arrived at the security belt. My mom, being a diabetic, had a yougurt with her. My mom offered to consume the yougurt on the spot, at which point the worker stated ‘no’. She left her post and told my parents they had to leave. She sent them back out to the beginning of the line up with hundreds of passengers ahead of them once Again. My mom directed herself to another worker, told him what had happened and they were moved along. This put them at risk to lose their flight, which wasn’t missed because the flight was delayed. They were exhausted when they got to the gate. It is an appalling way of treating vulnerable people. 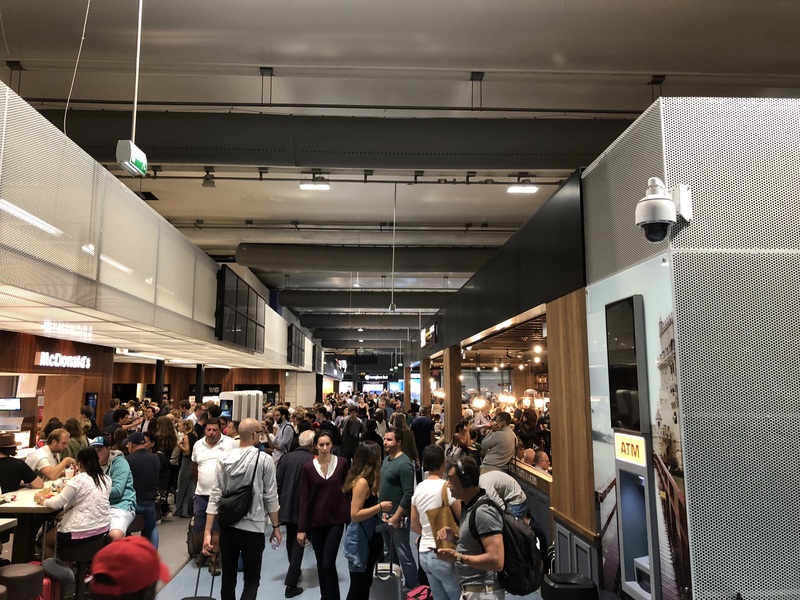 While we understand that people can not carry fluids such as yogurt with them through security lines, this agent’s behaviour was uncalled for. I hope other families don’t have to deal with this kind of treatment.